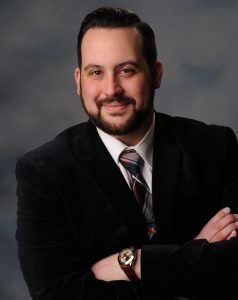 Chris R. Vaccaro became the Executive Director of the Suffolk Sports Hall of Fame in September 2017. Vaccaro, a lifelong Suffolk County resident and native, has an extensive career in sports, media and digital business development. A Suffolk Sports Hall of Fame induction committee member prior to taking over the organization, Vaccaro is involved in a number of initiatives related to sports, business and history both in Suffolk and across Long Island. He is Vice President of Digital at Altice USA and was the Editor-in-Chief of The Topps Company. He also serves as a journalism professor at Hofstra University and LIU Post. Vaccaro is the author of six books, five of which are about Long Island sports history. His journalistic work has appeared in the New York Times, Rolling Stone, Sports Illustrated, ESPN, Associated Press, New York Daily News and many more, and he has covered some of the worlds biggest sporting events from the Olympics, World Series and Super Bowl to the Belmont Stakes, Stanley Cup and MLB Draft, among many others. Vaccaro, who studied journalism at Hofstra for his undergraduate degree and public policy at Stony Brook for his graduate degree, is also the immediate past president of the Press Club of Long Island, a founder of the Long Island Journalism Hall of Fame, oversees the Sachem Athletic Hall of Fame, is the founder of the Sachem Hall of Honor, and a committee member of the National Italian American Sports Hall of Fame. He can be reached at SuffolkHOF@gmail.com.